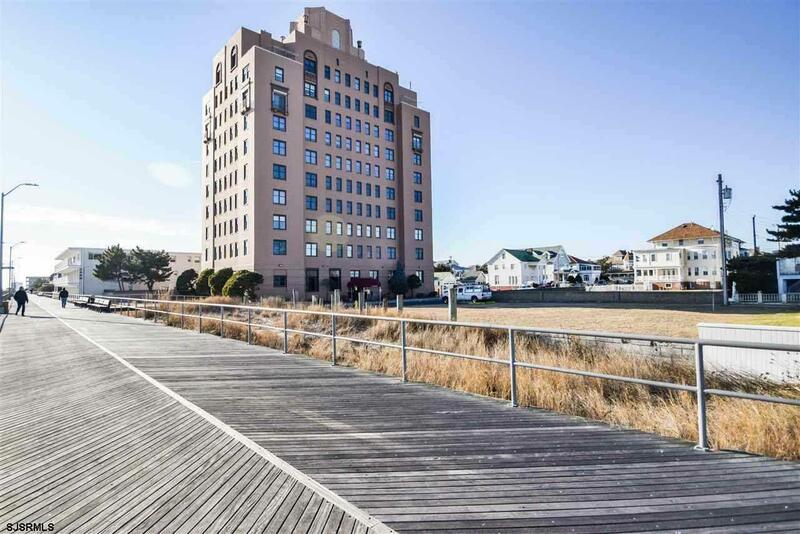 Elegance and History all at the The Oxford Condominiums -incredible opportunity to renovate, this 2 bedroom, 2 bathrooms condo in the prestigious and pristinely maintained building in Ventnor. The property is located by the boardwalk has ocean views from the living room and one of the bedrooms! So much potential! The building has a pool, bike room and laundry room. Close to Ventnor's best dining and shopping! Smart buy in hot Ventnor market!